This afternoon, Atlus USA announced that they will be localizing all four upcoming Persona games for North America and they also released trailers for each of the games. You got Persona in my Etrian! You got Etrian in my Persona! Well, you’re right on both counts. Persona Q is a cross-over for the Nintendo 3DS system that brings Persona 3 and 4 characters to the gameplay style of Etrian Odyssey. It also marks the first time the Persona franchise will be available on a Nintendo system. 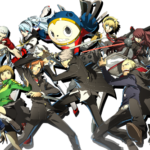 Characters from Persona 3 and 4 have been given a complete visual overhaul to match the Etrian style and plunged into an alternate world resembling Yasogami High School. Legend has it that listening to the end of the bell chimes of Yasogami High’s clock tower causes people to die, and this time the bell tolls for the Investigation Team and the SEES. Trapped in an other-world filled with Shadows, the protagonists from Persona 3 and Persona 4 each have different events to follow, allowing the player to choose and experience two different plotlines. As both groups seek a way out of the labyrinth, they will run in to two new characters, Rei and Zen, who may hold the secret to this new mystery. Arc System Works is bringing the sequel to the award-winning tournament fighter Persona 4 Arena to the PlayStation 3 computer entertainment system and Xbox 360 in 2014! 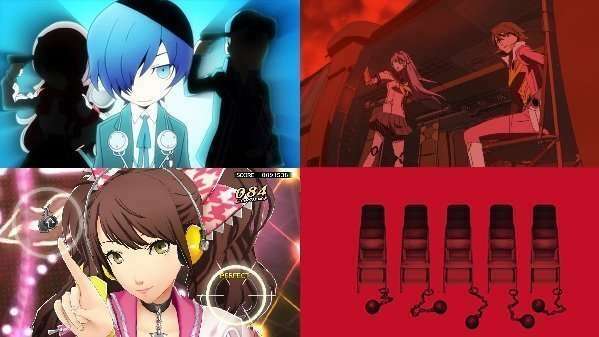 A few days after the P-1 Grand Prix concludes in the first Arenatitle, the city of Inaba gets enveloped in a thick red fog and Mitsuru, Akihiko, Fuuka, and Aigis are shown as prisoners on the Midnight Channel. The Investigation Team from Persona 4 and former SEES from Persona 3 must once again fight to their limits in the new P-1 Climax tournament to rescue them and finally uncover the true culprit behind the deadly tournaments. Not even Riddle-senpai could have seen this twist coming: Normal battle tactics don’t work against the Shadows on the Midnight Stage, but dancing does! 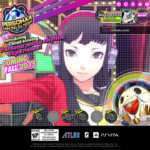 Rise, the Protagonist, and the rest of the Investigation Team will have to dance their way to victory. 30 pulse-thumping tracks make up the new Persona Sound in this rhythm-based action game. Persona 4: Dancing All Night is made in collaboration with Dingo Inc., the company behind Hatsune Miku: Project Diva (PlayStation Portable). This is it. The big one. 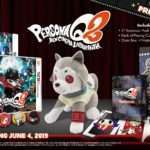 The latest true continuation of the award-winning Persona series will make its debut in North America on the PlayStation 3 in 2015. It is interesting to note that Persona 4 Arena Ultimax will be releasing for the Xbox 360 in North America when it is only a PS3 game in Japan. 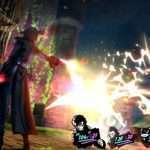 Additionally, Atlus USA PR manager John Hardin has mentioned via the PlayStation Blog and NeoGAF that Atlus USA is actively trying to avoid a scenario where Persona 4 Arena Ultimax is region locked like the game’s predecessor and that they are working for the games, with the exception of Persona Q, to be released in North America relatively close to the Japanese releases.